Just want to share some new shirts I did for the girls. 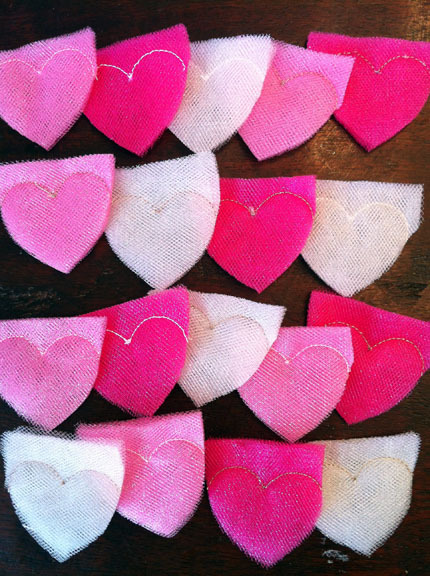 The design is Bunch of Hearts by Hang to Dry. I hope you like their designs as much as I do because I have bought a lot of them and I am sure they will keep popping up on my blog! This particular design, using tulle and an unconventional applique process, was outside of my previous experience but I carefully studied the process photos they have posted online and came up with this. 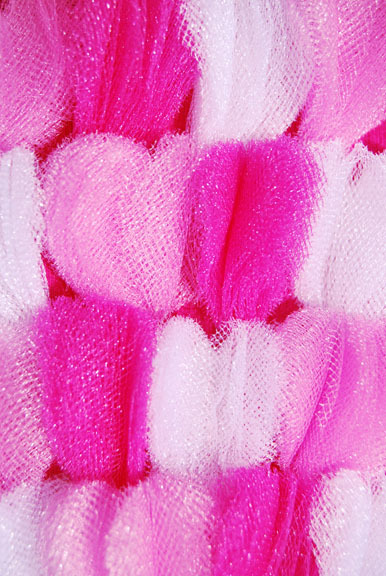 Cut off the bottom points to help keep down the bulk of the extra tulle when attaching them. 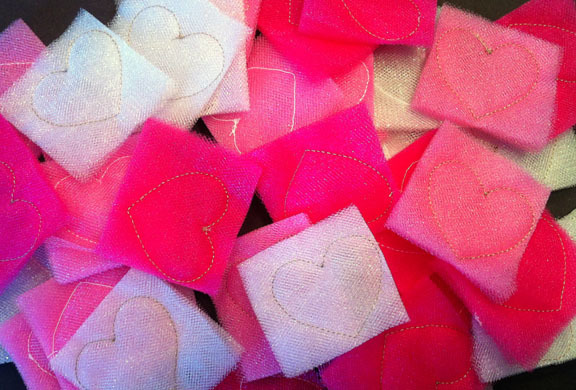 Cut out the top of the hearts and fluff! I think I did it right. Maybe? 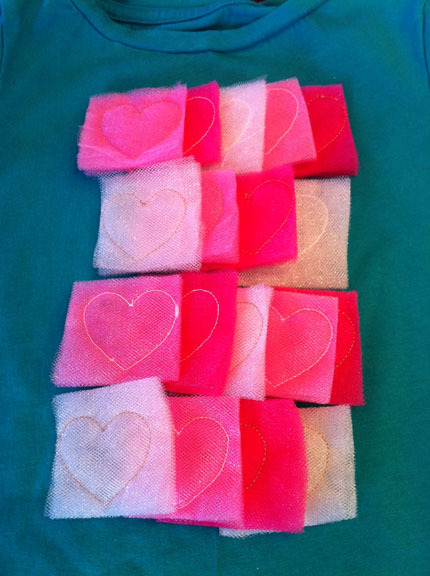 I really wish I had larger then a 4″ x 4″ embroidery area for a bigger impact. Sigh… one day. 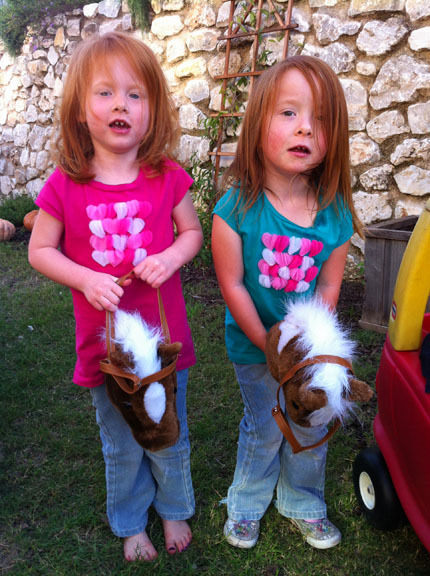 They are cute none the less and the girls love to wear them! Posted on April 22, 2013 by mamacansew. 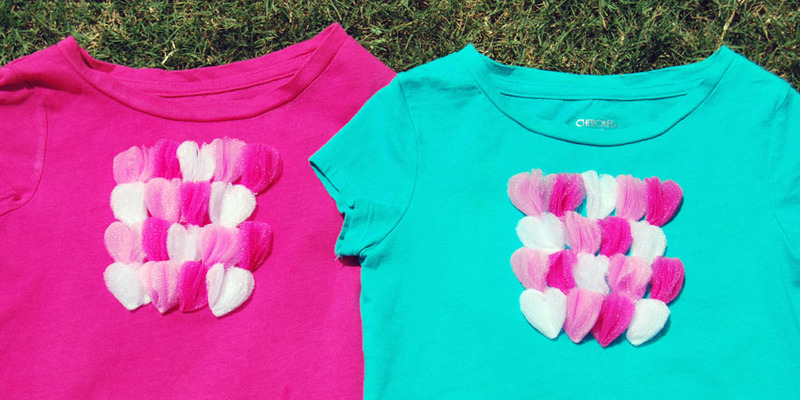 This entry was posted in sewing projects and tagged applique, hang to dry, heart shirt, Sewing Projects, Shirt, Toddler shirt tutorial. Bookmark the permalink. These look so great! I love the contrasting colored shirts you paired them with. And I went and looked at the originals, I think you absolutely did them right! Wow you are getting so advanced. I would be nervous with fabrics that different! Lucky girls. Thanks! I love it on the blue too! It is Maya’s favorite color.Of course I had to buy the pink for princess Naomi. 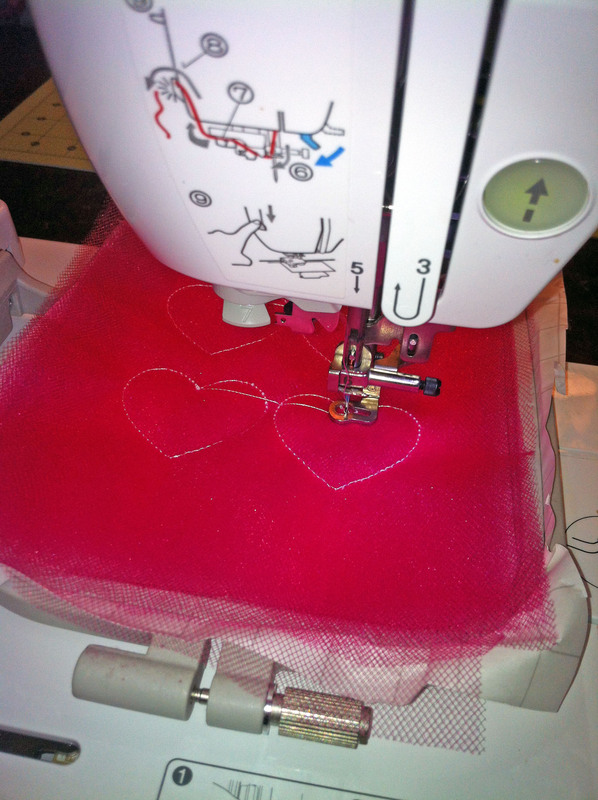 Seriously jealous of your crafting time…..you should look for a used machine to upgrade to. See if you can find a local fabric/sewing/quilting shop. People trade them in all the time. I have a 5×7 and rarely use the 4×4. I’d find one that has a dealer locally for support. My next goal is a sewing area in my upstairs den. I have seriously outgrown my little sewing cabinet in the kitchen. 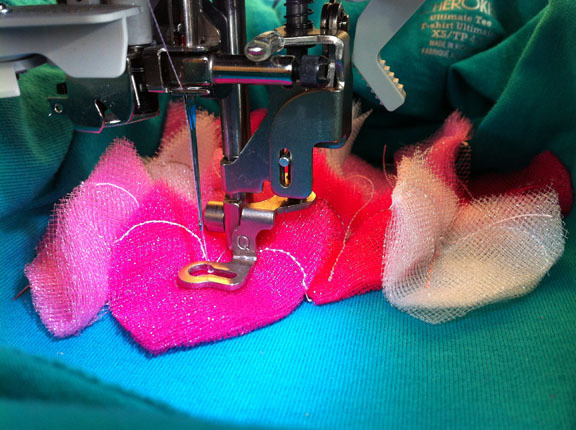 As soon as I get that finished I am going to upgrade to a embroidery machine with a larger area and also get a serger! Thanks! I will keep an eye out for a babylock.